We see them on TV, hear them on the radio, and keep up with them on Facebook, Twitter, and Instagram. 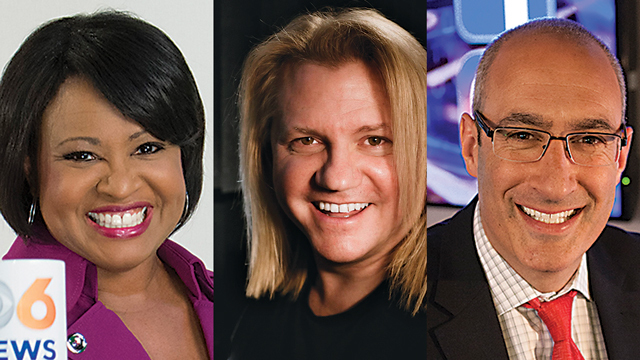 The RVA broadcast scene has proven to be a stepping stone for many media personalities, but we’re thankful for the ones who brighten our days and call Richmond home! Reba Hollingsworth starts her day at one in the morning. She’s at work by two-thirty, and on-air at WTVR as morning anchor by four-thirty, before sunrise. 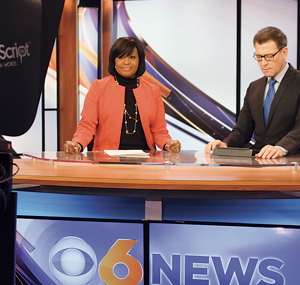 In between those hours, she cuts scripts for WTVR’s sister station DCW50 in Washington, DC, and also for radio spots on several Summit radio stations. And whew! – that’s just the first part of her day. That’s when the station suggested switching to part-time, an option that never entered her mind. “Part-time is unheard of in this business,” she says. Instead of working from three in the morning to twelve-thirty in the afternoon, a regular shift, she now works three to eight in the morning. “Now, there are a lot of female employees at the station facing the same situation and doing the same thing,” she says. She still does about three speaking engagements a month for work, posts on social media to communicate with viewers, and also teaches a broadcast writing class at VCU two days a week. “When I was seven years old, I also played school teacher,” she says, remembering those days of imaginative play when she was a kid in Houston. Even though she and her husband are on different work schedules, she says her schedule has its benefits. “The best part of this job is that I am home when my daughter gets off the bus.” The two can do everything from homework and Girl Scouts, to errands and eating out. Reba’s schedule does have an extra silver lining. She gets to be an in-room mom at her daughter’s school, do lunch duty, and go with the kids on field trips. 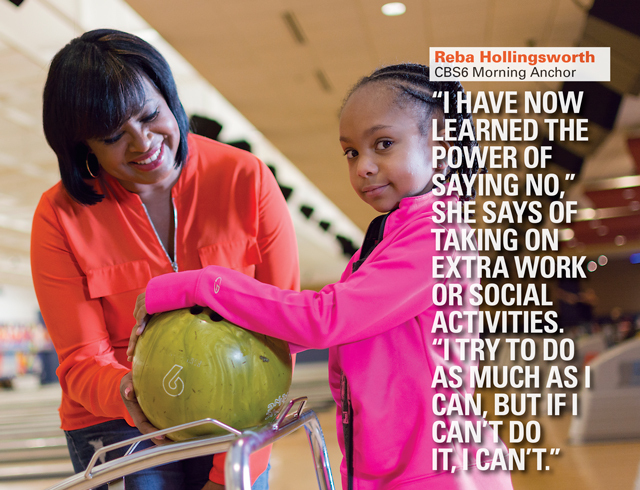 “I am doing a job I love, and I’m being present in my daughter’s life… any parent dreams of that,” she says. Before debuting in Richmond, Billy’s first professional radio job was in Manassas. He also appeared on public access television in Washington, DC. Billy hit the airwaves in Richmond in 1991 when he took on the seven-to-midnight show on Q94. He was tweny-one at the time, but his passion for broadcast surfaced when he was thirteen. “As a kid, I had a Donnie and Marie microphone that I had tricked out with a double nine-volt battery. I got some coat hangers and put them in the backyard with aluminum foil. I did broadcasts in my neighborhood in Vienna,” he says. Billy moved from Richmond to Little Rock, Arkansas, in 1997 to become a program director. He later went to a station in Charleston, South Carolina, and then to Birmingham, Alabama. He was working in Alabama when Q94 reached out to him once again in 2002 to take on the job of program director and afternoon radio personality. He switched to mornings when Jeff Wicker (they both work at Mix 98.1 now) left. He moved back to Richmond in 2007, and now has a state-of-the-art studio set-up in his Henrico home. About 90 percent of his work involves commercials and promotions. “I do national commercials as well as PBS work such as Wild Krats promos and Curious George,” he says. His voice can also be heard locally on commercials for Saxon Shoes and Haynes. His youngest son, Deacon, is “full steam ahead,” he says. “He’s loving and sweet. He keeps us on our toes.” A dancer, Carrington is now studying ballet at University of North Carolina School of the Arts. “To see her grow into a young woman has been amazing,” says this proud dad. 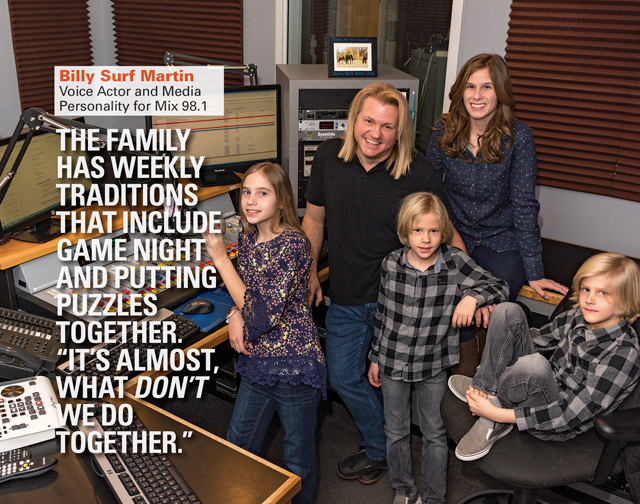 For Billy, one of the challenges of being a voice actor is being tethered to the studio. “I have to be available. I have to be near the studio, but I just got some software that connects anywhere as long as the time zone works out,” he says. Billy likes that his kids are always nearby; his wife homeschools them. “That’s always been the way we designed our life, around the kids,” he says. “When the time came to put them on the bus, we thought, we can’t put them on the bus. We want to be around them, and we wanted to have a little more control of what they learn.” When he’s not working, the family likes to travel around the country. They’ve also visited London and Paris. For the past five years, he and his wife have led a trip with doctors and teachers to Haiti for one week in the summer. “As soon as the kids get older, they can go,” he says. The family recently purchased a converted Greyhound bus – think celebrity tour bus – so they can travel from place to place and Billy can still work. “I’m putting in a studio,” he says. 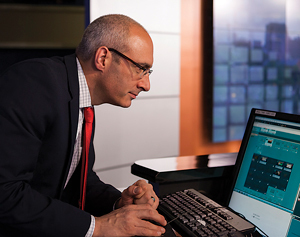 He didn’t see being a television meteorologist as an obtainable goal when he was getting ready to graduate with his environmental sciences degree from University of Virginia, even though he knew that other meteorologists definitely wanted a TV gig. One of the things he likes best about his job is meeting students at local schools and talking to them about the weather. “I’ll go there when they are doing a weather unit or before SOLs to help them,” he says. His posts are usually driven by what viewers are seeing or asking. For example, the two nights during the space station flyover, he was live on Facebook. “It’s an amazing tool to be able to share and encourage people to go outside and see things,” he says of social media. They live in Henrico and have two children: 9-year-old daughter, Helena, and son, Nathan, six. 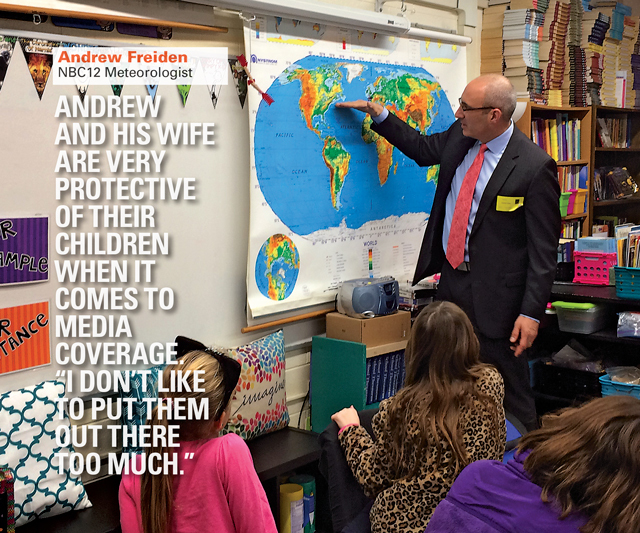 Andrew and his wife are protective of their children, especially with regard to how it relates to his public life in broadcast. “I don’t like to put them out there too much,” Andrew says. One of their biggest tasks as parents is figuring out how to make parenting work with Andrew’s unusual schedule. “Jaime is a dental hygienist and works part-time, so that helps,” he says. On his days off, Andrew and his family head outdoors. Favorite activities include hiking and bike riding. “I like biking, so I push in that direction all the time,” he says. An award-winning writer based in Richmond, Joan Tupponce is a parent, grandparent, and self-admitted Disney freak. She writes about anything and everything and enjoys meeting inspiring people and telling their stories.